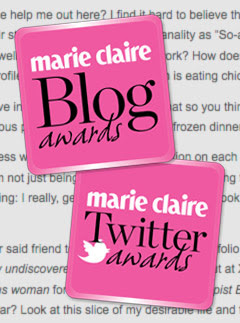 I've been Short-listed for the Marie Claire Blog & Twitter Awards! I'm right with you Lady! Also a nominee of the award - so a BIG congrats from me! Being one of the 25 Fashion Bloggers chosen is Fantastic! Good luck - and hopefully we'll both be at the awards! Congratulations - our votes have been entered!